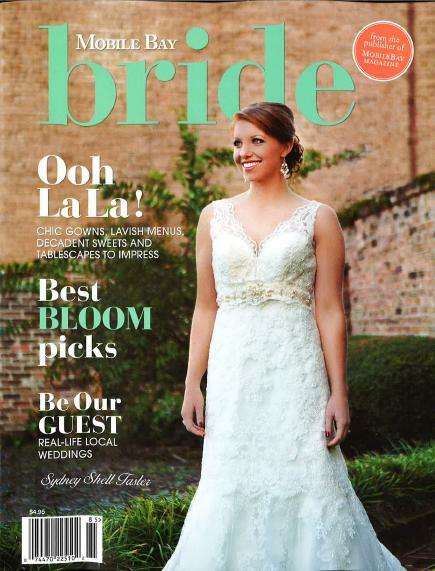 In the Summer 2013 issue of the Alabama Coastal Magazine, there is an article about how the Timeless Bride saved the day by helping Melissa out with her wedding dress! Pictures by Britta Rivera Photography. The Spring/Summer 2013 edition of the Mobile Bridal Directory features John and Michelle Gormley. Click on the file below to read the wonderful article written about their special story and day! You can see more from this issue by clicking here. The Gulf Coast Bride Fall 2012 Edition features Morgan and Zach Saux. You can see more of their wedding and their article in our Wedding Galleries and you can find a link to Gulf Coast Bride Magazine in our Vendors section. In the Fall 2012 Issue of Gulf Coast Weddings you can find on the cover and featured, Zach and Morgan's wedding! Click on the file below to read the wonderful article written about their special story and day! Click here to see more pictures from their wedding. wonderful articles about Erin & Lucas and Katherine & David. 2012 weddings. 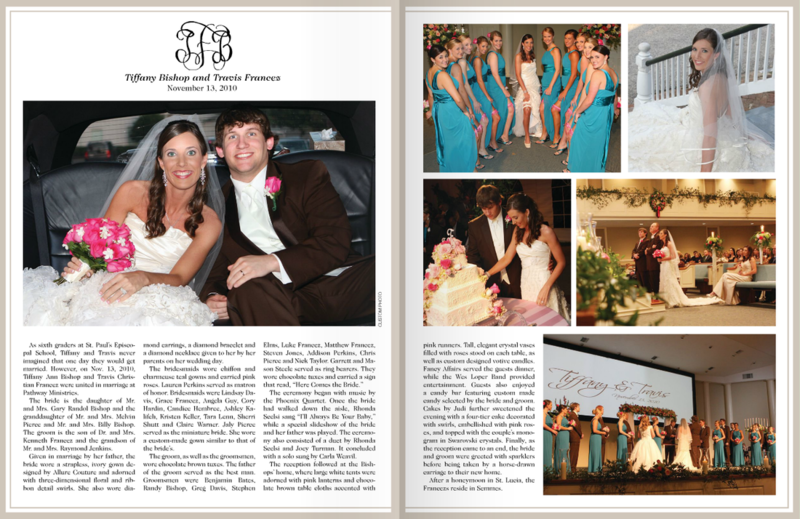 In the most recent issue of the Mobile Bay Bride Magazine you can find a wonderful article about Tiffany & Travis's 2010 wedding! You can find a link to the magazine's website in our Preferred Vendors Section. In the March 2012 issue of Zalea Magazine you can find a wonderful article about Jenna & Marco's 2011 wedding! In the December 2010 issue of Zalea Magazine you can find a wonderful article about Terra & Nick's 2010 wedding! 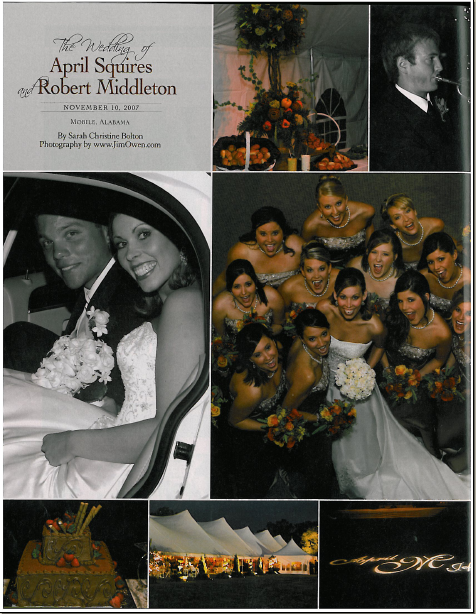 In the November 2010 issue of Zalea Magazine you can find a wonderful article about Casey & Monroe's 2010 wedding! 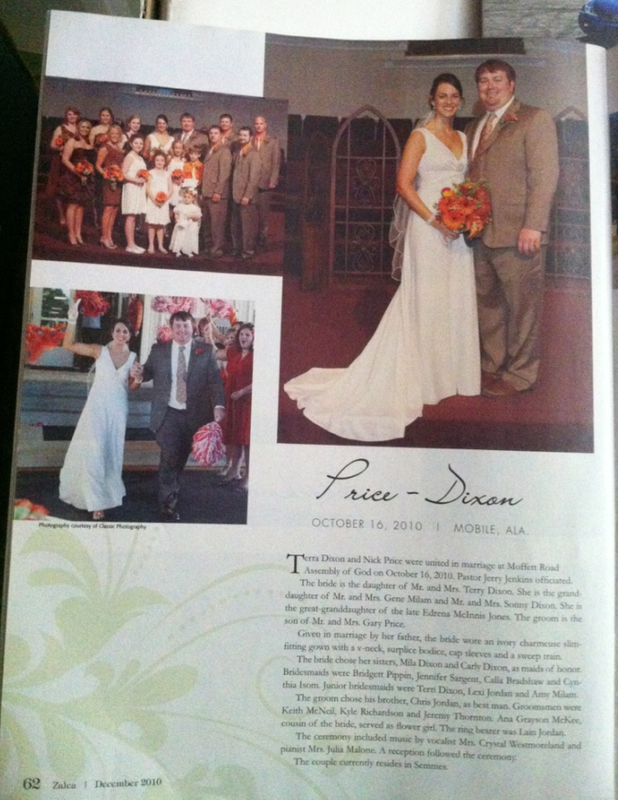 In 2007 one of our weddings was published in the Summer/Fall issue of the Alabama Southern Bride Magazine. Please download the file below to see the beautiful article about April & Jeff's wedding.